BEIJING (Reuters) - China and the United States can resolve any trade disputes through talks, the government said on Thursday, as a Chinese newspaper warned U.S. business could be targets for retaliation in any trade war ushered in by President-elect Donald Trump. Trump, who is sworn into office on Friday, has criticised China's trade practices and threatened to impose punitive tariffs on Chinese imports. Billionaire investor Wilbur Ross, Trump's choice for commerce secretary, voiced sharp criticism of China's trade practices on Wednesday, telling senators he would seek new ways of combating them. "I believe China and the United States can resolve any disputes through dialogue and negotiation and that the China-U.S. commercial relationship will not significantly stray from the path of mutual benefit," Sun told reporters. "Both sides benefit with cooperation, and both are hurt with conflict," he added. Chinese Foreign Ministry spokeswoman Hua Chunying said any disputes should be resolved via constructive talks, to avoid any miscalculations. "We look forward to working hard with the new U.S. government, adhering to no clashes and no confrontation," she told a separate briefing. But a high-powered economist and a widely-read state-run newspaper took a harsher line. Chen Wenling, chief economist at the China Centre for International Economic Exchanges, an influential think tank with close government ties, said China does not desire a trade war but it is certainly not afraid of one. "If you want a fight, then we will fight and we will fight to the end," Chen said. "But the U.S. will be the first to be injured and their injuries will be more severe," she said, adding that China could "definitely defeat the U.S."
In an editorial, the Global Times said that as the United States has the stronger economy, China may suffer more once a trade war starts, but China "will take the U.S. on to the end". "There are few cases in modern history where only one party surrendered in a trade war; rather, the two parties ended up compromising with each other. How could Trump's team believe China would surrender without any countermeasures?" it said. "The arrogant Trump team has underestimated China's ability to retaliate. 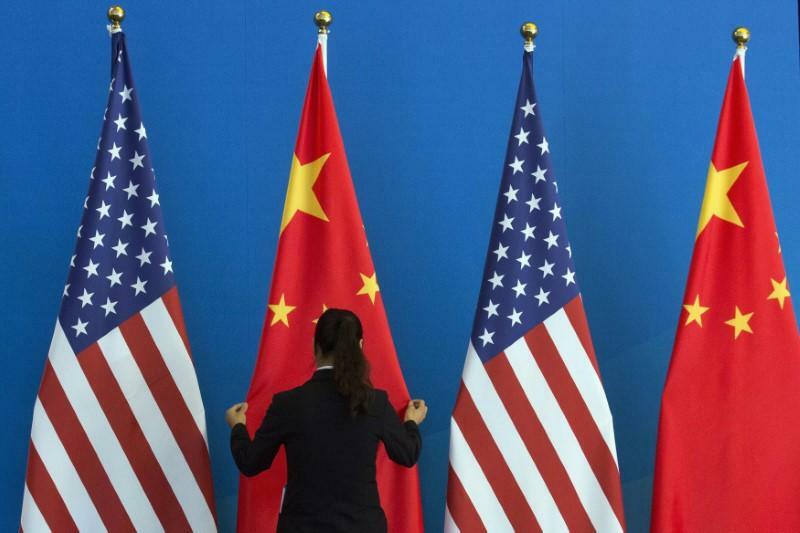 China is a major buyer of American cotton, wheat, beans and Boeing aircraft," the paper added in the editorial carried in its Chinese and English-language editions, without elaborating. Boeing Co's China office declined to comment. In October, Boeing and Chinese planemaker Commercial Aircraft Corp of China Ltd (COMA) [CMAFC.UL] signed an agreement to open a Boeing 737 completion facility in the Chinese coastal city of Zhou. The Global Times, run by the ruling Communist Party's official People's Daily, is known for its stridently nationalist tone, but its editorials cannot be viewed as representing government policies or official statements. In recent weeks, the Global Times and other state-run Chinese news outlets have issued several warnings of possible retaliation if the Trump administration carries out threats of tariffs or undermines Beijing's claims on self-ruled Taiwan. In November, the Global Times warned that China could switch large orders from Boeing to Europe, Apple phones would "essentially be crowded out" and U.S. soybeans and corn banished from China if Trump creates problems for China on trade. China is the world's top producer and consumer of cotton and top buyer of grains such as soybeans to feed its vast livestock industry.